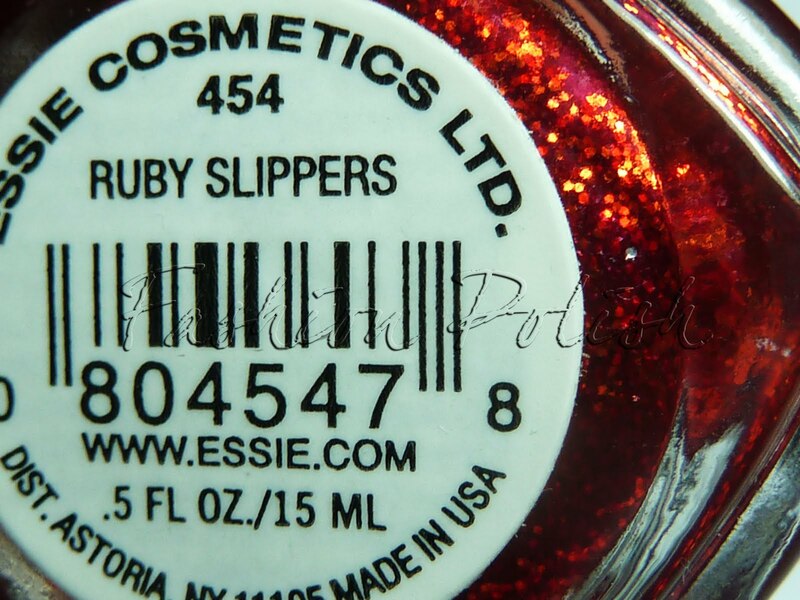 There are many "Ruby Slippers" look alikes, almost every brand has released one although the original discontinued and hard to find Essie deep red glitter still remains unequaled. 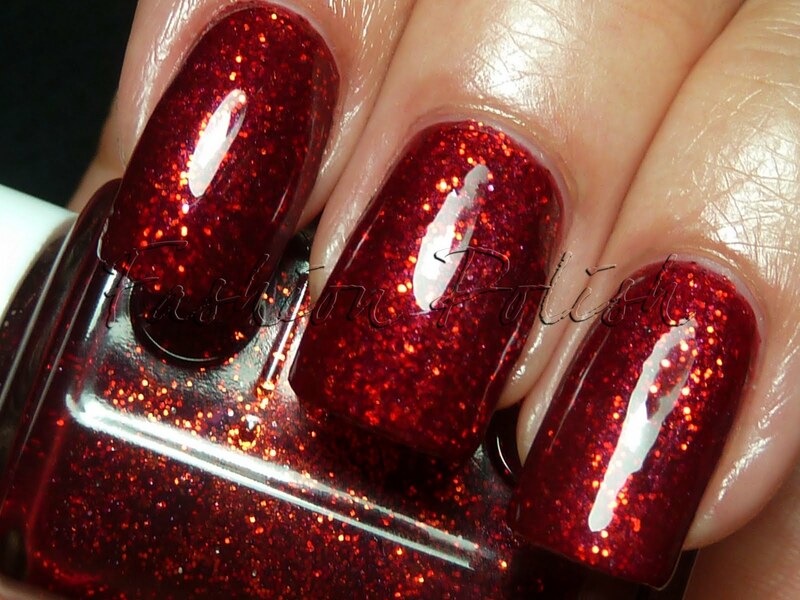 Ruby Slippers applies like a dream in 2 coats. If you already own China Glaze Ruby Pumps for example, the glitter here is much bigger here, much more sparkly too. Ruby Slippers is in my humble opinion probably the best red glitter : it's seems to be on fire, like lit from within with an amazing glow and once I had it on, I instantly understood its iconic status. 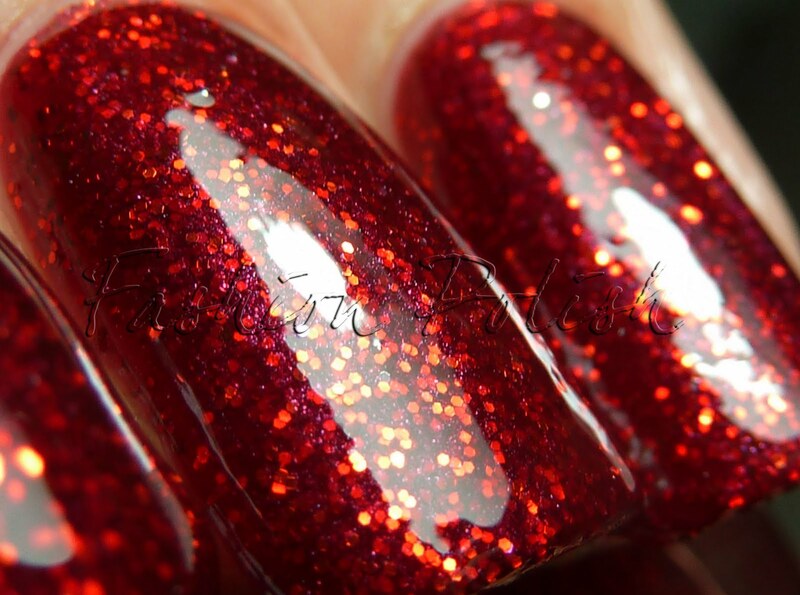 And now, the best part, if you're looking for this long discontinued nail polish, check out 8ty8beauty.com, on the main page under the yellow "limited products" tab, you'll find it for $4 along with Glass Slippers. THANK YOU! I just placed my order! 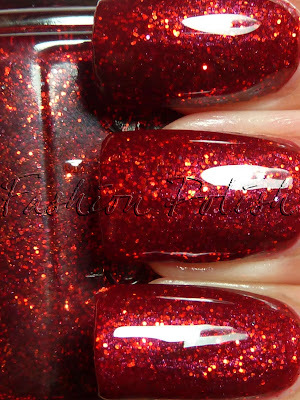 OOOOOOHH I just e-mailed them to order 3 of those pretties <3. I love how that gold shows up! Very nice color. 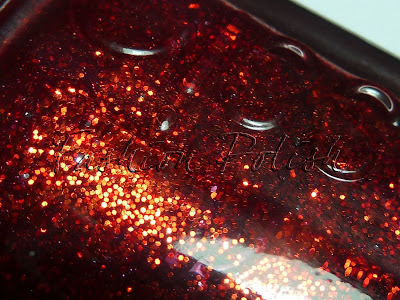 I have a similar one made by China Glaze. I've got to go and order this. It's gorgeous. Thanks for posting this! I just ordered and hope they still have it in stock. Is it much different from GC Ruby Pumps? @Liz C. it has a more glittery look than Ruby Pumps. The glitters are much bigger to. I'm sooo sad! Ruby slippers is gone. I've been looking for over a year and I just found your page today :(. I was gonna order like five of them! Any chance you might know of anyone else who sells it? Please, Please, Please!!!! 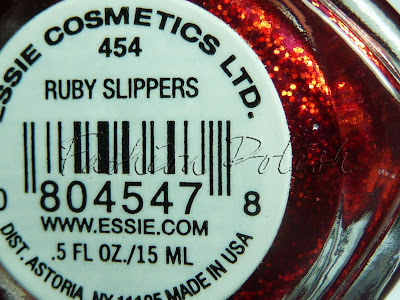 This is several months later, but since I'd been looking for MONTHS for Ruby Slippers, I thought maybe people would like to know anyway. I kept finding It on Amazon and eBay for between $50-$100 per bottle (insane!) but I finally found it on eBay for $18 shipped (still a bit pricey) from a seller named kho2709. For someone who really wants it, that price is not too bad. And mine arrived pretty quickly too. Hope it helps!